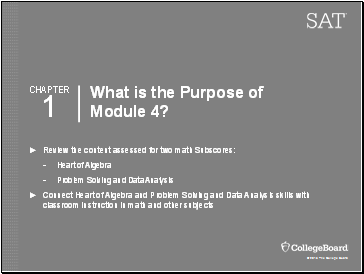 What is the Purpose of Module 4? 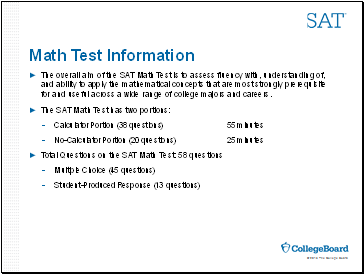 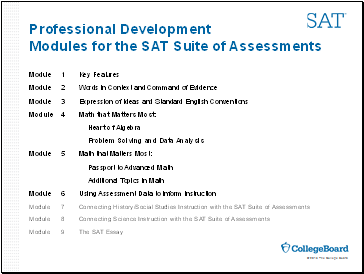 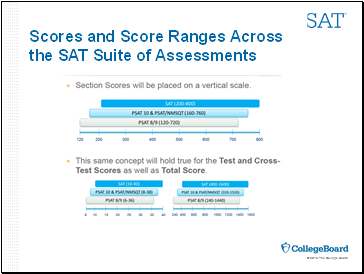 Score ranges on this table are for the SAT. 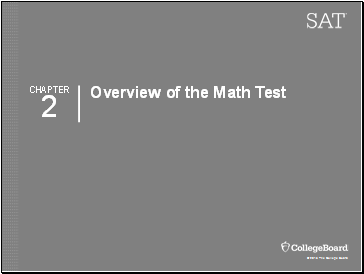 The overall aim of the SAT Math Test is to assess fluency with, understanding of, and ability to apply the mathematical concepts that are most strongly prerequisite for and useful across a wide range of college majors and careers. 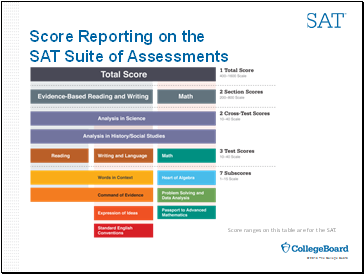 gives insight into students’ capacity to use appropriate tools strategically. 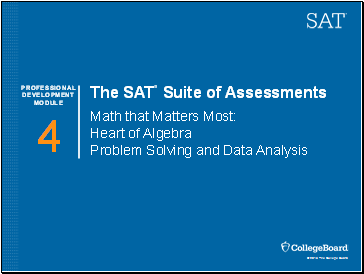 includes more complex modeling and reasoning questions to allow students to make computations more efficiently. 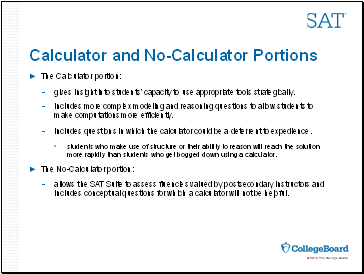 includes questions in which the calculator could be a deterrent to expedience.